Aria is a young and determined bathroom model. 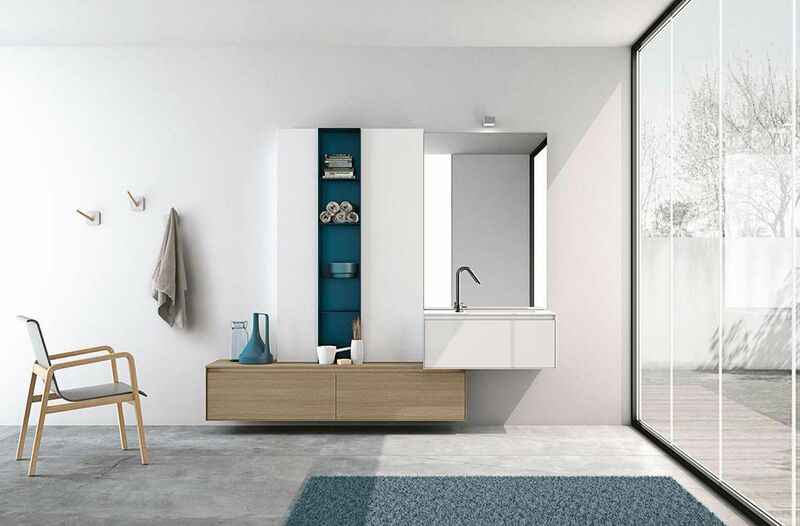 The collection is characterized by a frame of 6 mm which keeps the containers in an elegant setting. 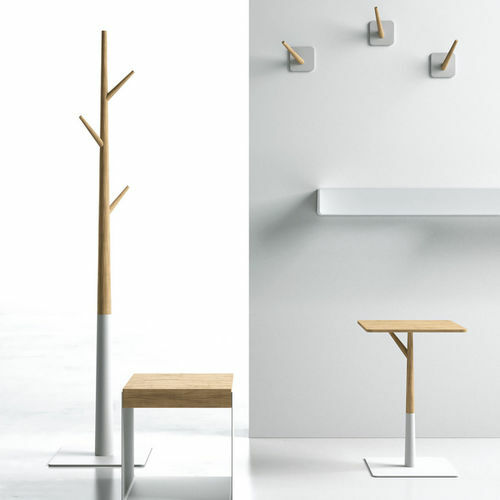 Modern finishes like Micromalta, varnished metal and Nodino oak wood give lightness to the compositions. 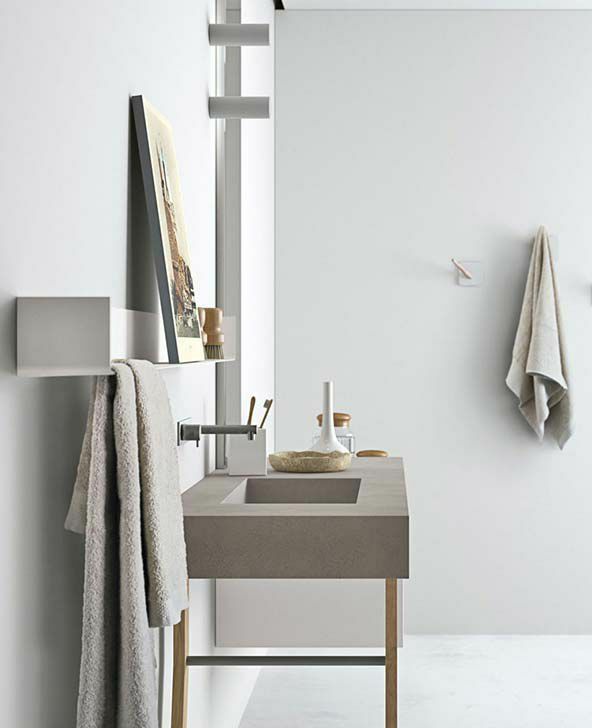 The sinks in Micromalta, Koral, stone, or Kerlite SlimmKer can be integrated in the top. 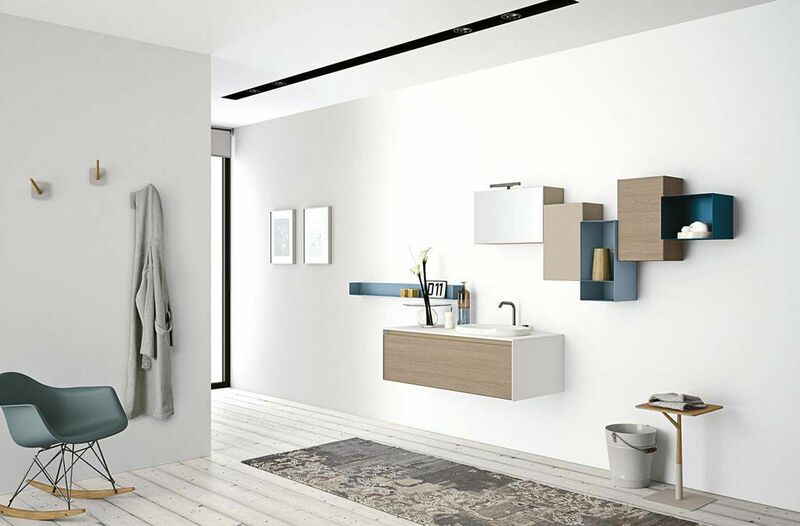 In addition to hanging units in wood or various lacquers colours, there are shelves with opening for towels, and coloured metal open hanging units. small table, stool and coat rack are accessories that complete the range.